Over the years I have learnt that early prevention is better than any cure and Oscar is rarely without his silky smooth Bossy Bib when rugged, and when ridden his Eskadron Lambskin Underlay because the latter can be a real cause for concern for any horse owner/rider. 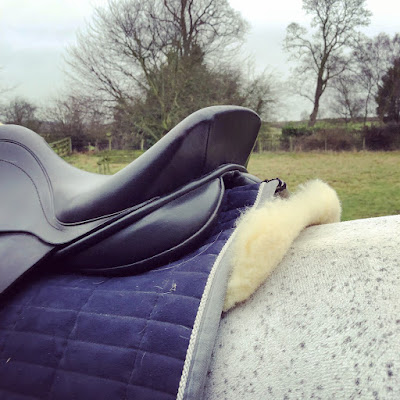 I purchased my Eskadron Lambskin Underlay from Lili Brooksby-Dalby's Feather Dressage after I saw her using one at a similar time of year, for the very same reason. The Lambskin Underlay is exactly what it says...a long piece of lambskin with no seams or edging and minimal thickness. 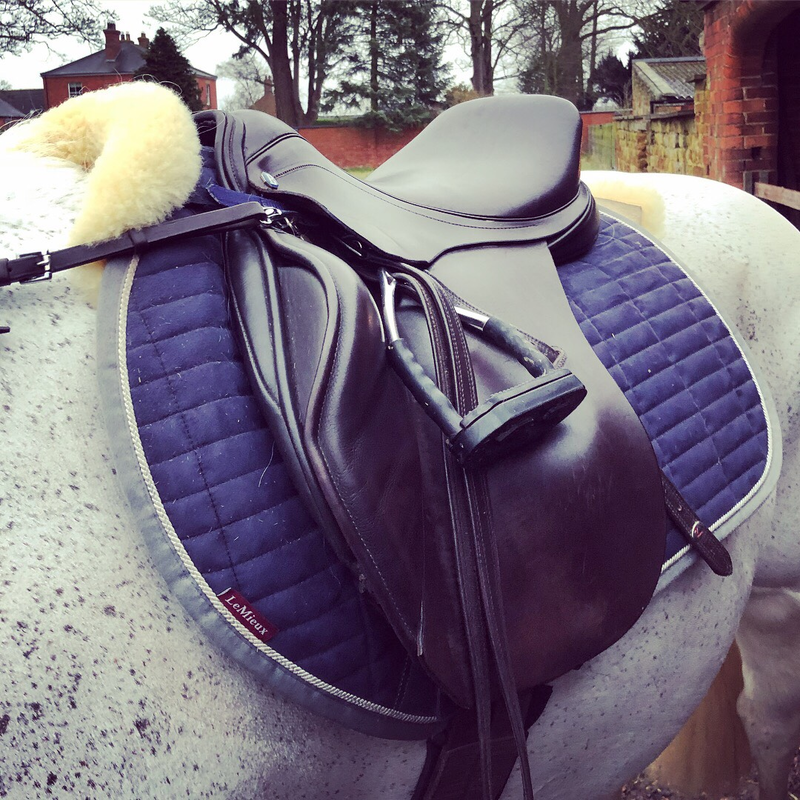 It is positioned directly onto the horses back in the seat area and can be secured to any saddle pad using the plastic buckles at the front, ensuring it won't slip back and disappear mid ride! 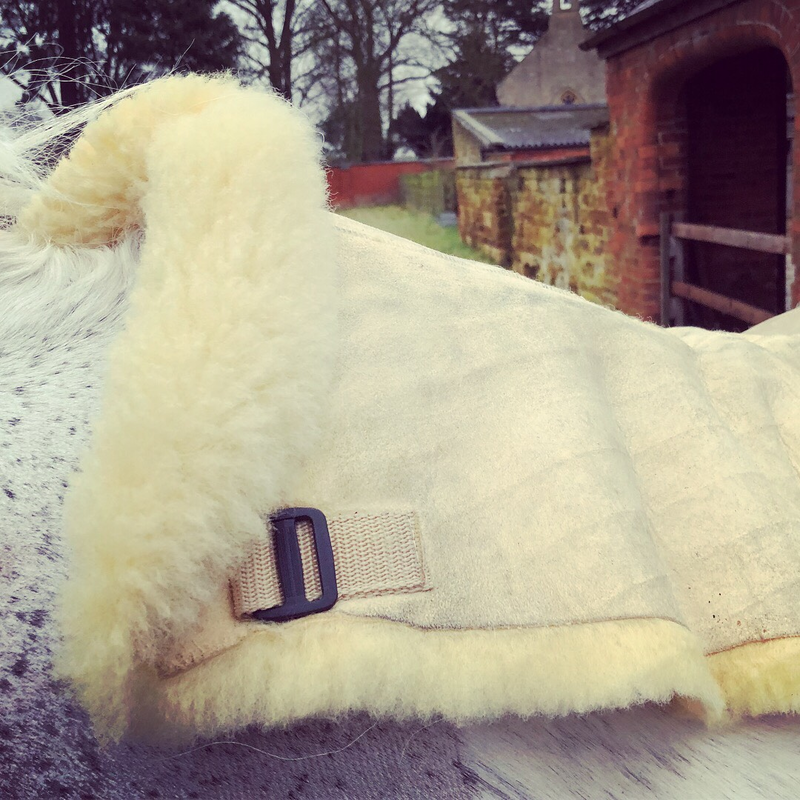 The Eskadron Lambskin Underlay has other benefits too, because it is a natural fibre once on a horses back it warms up and cools down at a much slower rate to synthetic fabrics. Reducing temperature fluctuations in the back muscles and therefore, reduces the risk of injury too. And it goes without saying that lamkskin (and sheepskin) is widely recognised for its breath-ability, sweat absorption and pressure reducing benefits. The Eskadron Lambskin Underlay cost £55 and I have had mine three years - pictured - it is easy to care for and as mine is only used during the winter months, a simple dandy brush down brings it back to life. When required, it can be washed with a specialist lamb/sheepskin detergent.